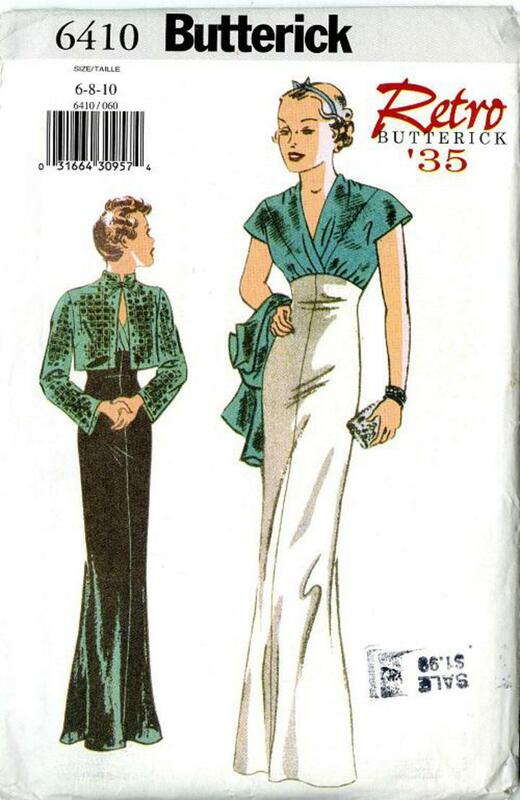 1935 Butterick #6410 Re-Issue Retro sewing pattern, misses' evening dress and short jacket, size 6-10. Close-fitting jacket, above waist has shoulder pads, raised neck, attached tie, hook/eye closing and long sleeves. 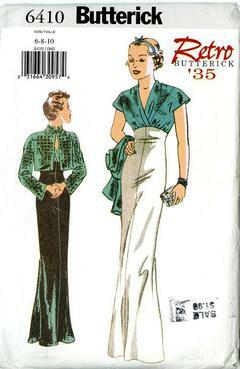 Semi-fitted, slightly flared dress, floor length has raised neck/waist, cap sleeves, side zipper.